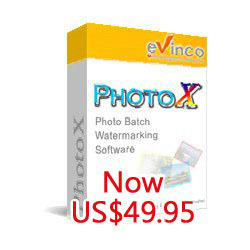 PhotoX Batch Watermark Creator software - Stamp watermark on your photos and protect your intellectual property. Software Release History. Improve processing speed in converting photo to grayscale. Optimize the process to read filename, date, and time for text watermark. Improve the speed of watermarking. Provide new tool to adjust brightness and contrast of photos. Revise Documentation and Help File. Upgrade Database Kernel to v1.8 with higher stability and resolve locking problem. New Tool allows applying multiple effects on photos. User can for example, add watermark, convert to grayscale and generate thumbnail in one batch process. Allow multiple pre-defined stamps added to photos. Provides two bonus tools: Adding Strip on Images and Thumbnail Generation.